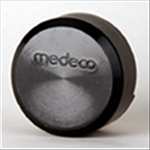 The Medeco Hockey Puck style padlocks come with hardened, solid steel bodies, a shackle-less design, 5 Pin Medeco3 High Security Cylinder is the highest level of protection against bolt cutter attacks, and patent protected key control. Every padlock cylinder is UL 437 Listed and can be keyed into any existing 10 series product. For effective mechanical protection against most forms of attack as well as protection against unauthorized duplicate keys, Medeco3 cylinders are recommended. 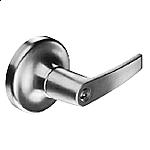 Security features including hardened steel components, pins that must be elevated, rotated, & interact with both a sidebar & a slider, & additional pick resistant features make Medeco3 the cylinder of choice to protect people, property & information. The Medeco 3 unique design provides triple locking action, making the locks virtually pick proof. All Medeco 3 keys and locks are protected under patent, trademark, and copyright laws. 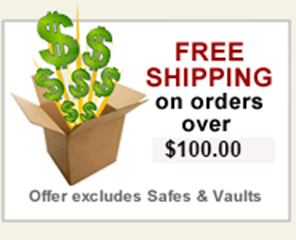 Medeco 3 keys may only be duplicated by Medeco or by a Medeco authorized sales outlet, and only at your request. Hardened solid steel, chrome plated body. Medeco service outlet, and only at your request. Hockey Puck style padlocks are completely serviceable, and can be re-keyed in case of lost or stolen keys. Hockey Puck style padlocks can be keyed in with other 10 series products. Shackle-less design for the highest level of protection against bolt cutter attacks. Hockey Puck style padlocks can be used in a variety of different applications including vending, storage and transportation.